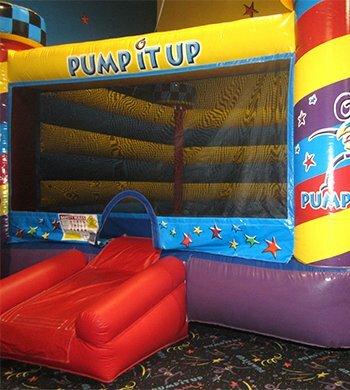 Kelly McHugh, Owner of Pump It Up of Raleigh, bought the franchise in 2009 with the desire to create an environment where families and friends could get together to celebrate, socialize and exercise for fun - stress free. Kelly has a marketing background working for major corporations in the high tech industry. After starting her family, she wanted to be involved in a business that she could relate to and also have the ability to balance her home life with her professional life. She found this opportunity with Pump It Up. 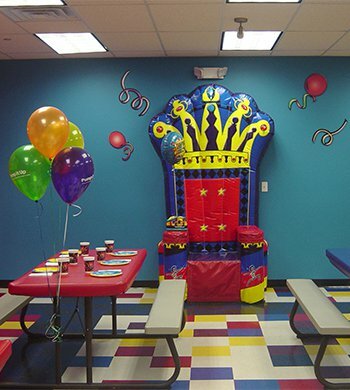 Party Attendants & Party Coordinators: The number one goal of these Pump It Up team members is to ensure that your birthday child has a FANTASTIC party and that it is 100% stress free for the party hosts. From the moment you pull into the parking lot, this staff will assist you in every way. Party Attendants are there to help you bring your party necessities into the facility. 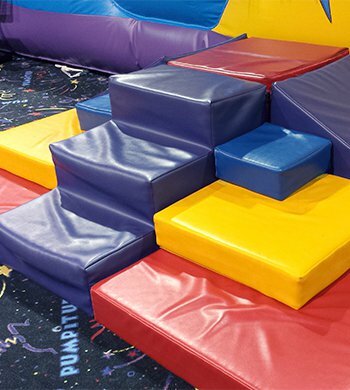 They will engage, organize and supervise your guests while they are playing in the private arenas. And lastly our Party Coordinators will facilitate all the party happenings in your party room. These guys are party pros and they look forward to making your party a complete success! "I have taken my son here since he was able to walk and he never wants to leave! They have Date Night's, track out & summer camps, too. The staff is friendly and the arenas are always clean." - Leslie P.